Asian medical institute is one of the most leading medical college of Kyrgyz republic. it comes in to enforced in the year 2004. 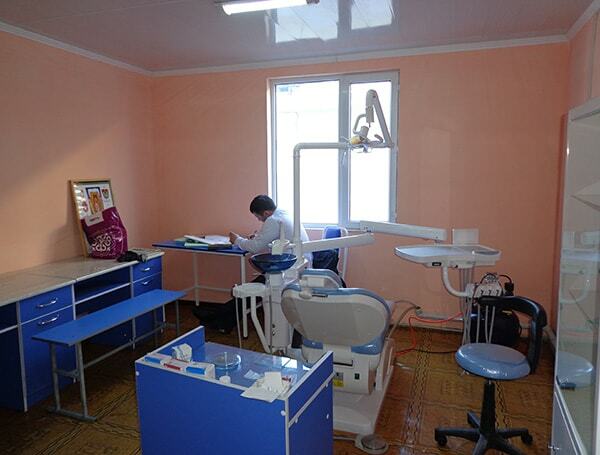 Asian Medical Institute situated in in kant, Kyrgyzstan near its capital Bishkek. The Asian Medical Institute is approved by WHO( World Health organisation ) and MCI ( Medical Council of India) . 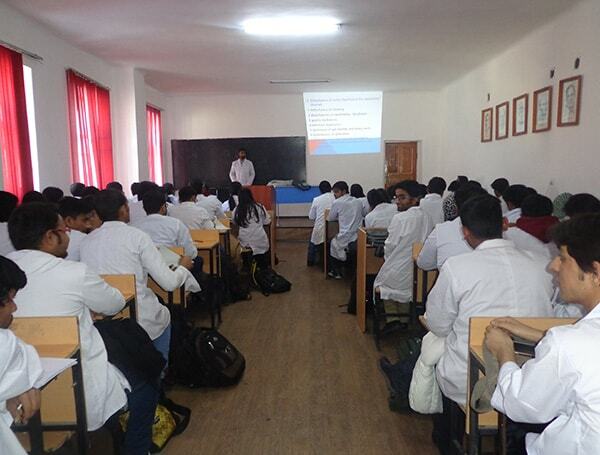 This institute offers general medicine faculty in a varieties of active learning environment.. This also include fragment of lesion , problems solving session, discussions, debates, videos conference session and profitable presentations. Study system is basically concern with European universities. Therefore it enables our students to migrates. Therefore it enables our students to migrate for getting a job in any part of Europe. In order to make students life more interesting, we provide recreational activities too. We also conduct cultural programs in our institute. Ultimately the course duration in our University is of 5.8 Years. ASMI is one of the best institute in accordance of teaching criteria in English language. We guide our students with the best faculty. That’s why we select our faculty on the basis of highly English speaking doctor from different countries. There students from any country get satisfaction with educational rudiments according to their choice of knowledge. Here you will get enormous profit from medicine faculty as physicians, teachers and researches. Every member of here’s faculty holds on M.D and/or PH.D degree. Many of our faculty also have degree in specialists. Faculty of our institute prefer to teach with modern technologies. Overall our aim is to provide a better doctor from our institute and give our best. We provide our best teaching methodology. Moreover it deals with interactive and critical thinking activities. Therefore it helps the students to learn successfully and achieve good results. Infact teachers initialise the modern teaching programmes and give their best in improving learning quality. On the other hand our faculty always eager to speak with any foreigner besides of being best at their English language. In addition our institute also invite the special team of doctor from USA, UK and Europe to deliver lecture and research in medical education. We always try to give our best to make our students ready to deal with any situation and in active participation. At the same time faculty member are much cooperative with students. So the students never hesitate infact they always get help and satisfaction. ASMI is actively working to make new contact with medical universities of USA, UK, Europe and others. Why Study at Asian Medical Institute..? The Best and most respected medical Institution. Quality education the Degree is recognized worldwide. Recognised by MCI & WHO. Eligible for USMLE, ECFMG & all European countries. Low tuition fee with world class facilities. Highest Passing rate in MCI ( FMGE ) Exam. Furnished hostels with Wi- Fi . Local representative to take care of Indian students. Safe and secure campus & Hostels. Indian food available by Indian cook. Every student from India who studies MBBS from abroad have to clear MCI Screening test. It is also known as foreign medical graduates examination ( FMGE ). This test should be cleared in order to practice medicine in India. Therefore it is mandatory for Indian students who have medical degree from foreign to clear this examination. Students who study MBBS from outside India used to be in dilemma regarding MCI preparations. What about the availability of Indian faculty in outside India for MCI Classes? Here in ASMI no need to worry about MCI classes because best faculty from India are available for guidance. Classes also run by them. Moreover student can join the classes from 1st year itself for their better preparations. So without wasting your time you can do your MBBS and FMGE preparation parallel. While studying in abroad environment matters for students. How will be the place, where they will reside and adaptation etc. Here in Asian medical Institute there are best facilities for the students where there are separate hostel for boys and girls moreover here are exclusive Indian environment. Infact there are separate hostel for Indians where only Indian resides. Chief Indian festivals are also celebrated here so the students don’t feel like they are in abroad. and if the matter comes of safeness then here’s hostels are safety for students. There is no doubt that before taking or planning for admissions to any university either it may be within India or out of India, food quality matters a lot. and moreover if the matter comes for food in abroad it becomes more necessary for the availability of continental foods. In Asian medical Institute which is in Kyrgyzstan where many Indian students are studying MBBS, there Indian food is available in their mess. Moreover veg. and non-veg. both types of foods are available in mess in respect of students interest. Why take admission in ASMI from Bissav Education?